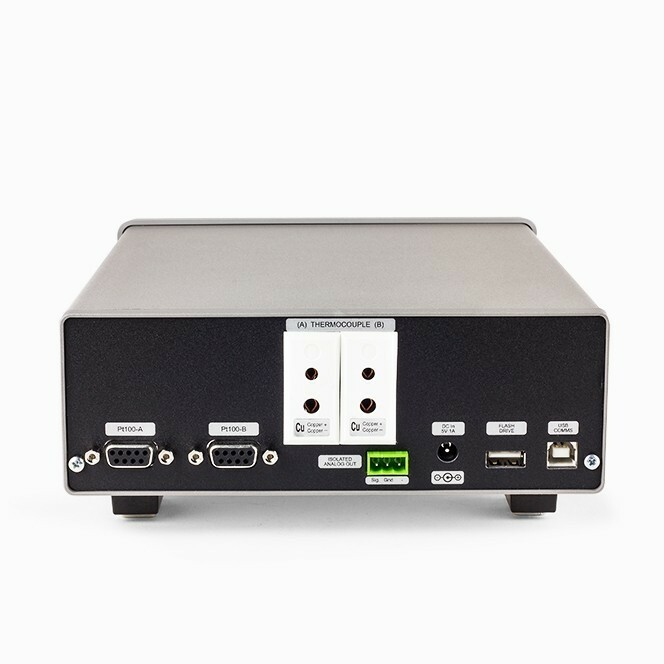 Optional adaptor to provide quick and easy connection between standard and miniature connector systems. Displayed values and user information are indicated on a bright clear OLED screen with diffused backlighting. Data can be displayed in °C, °F, K, Ω or mV as required; nine front panel push keys, the only user controls, are used in conjunction with the display screen. It is this arrangement which makes for very simple and 'friendly' operation. 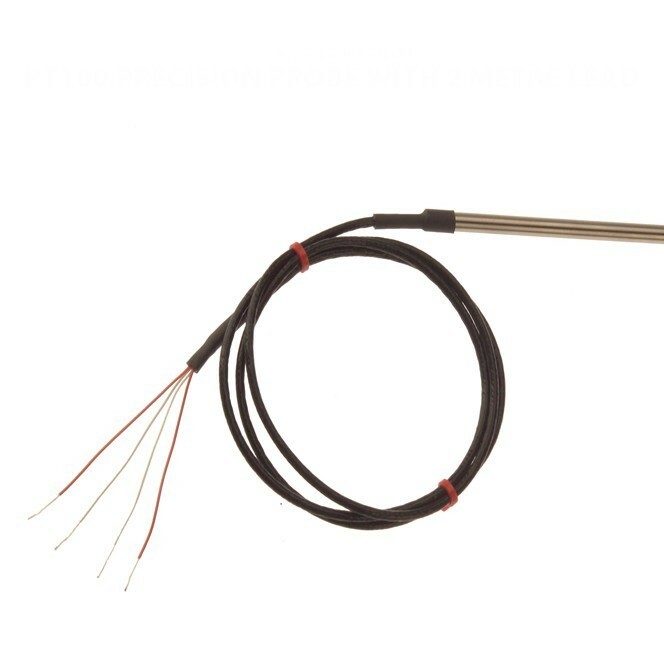 Resolution is a user selectable 0.001 or 0.01°C for Pt100 sensors and 0.1°C for thermocouples. All computations are performed digitally without drift. 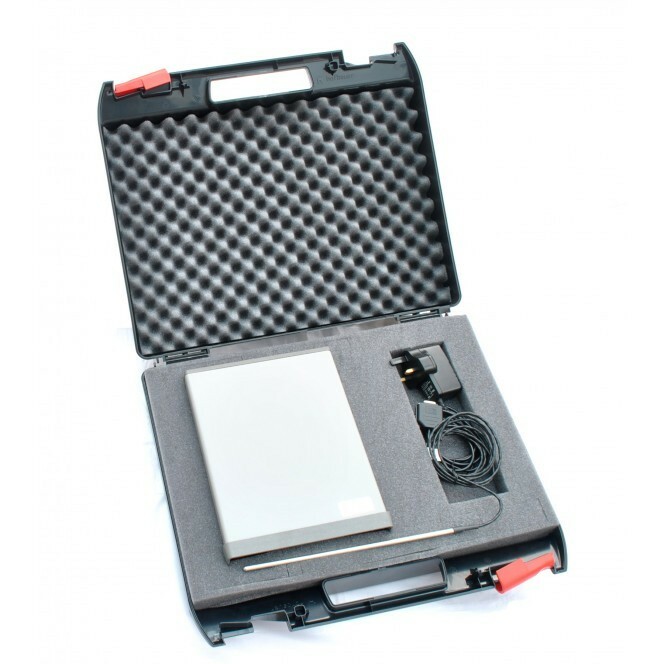 Overall stability is optimised by utilising only the highest quality components including high precision, expensive metal film resistor networks. 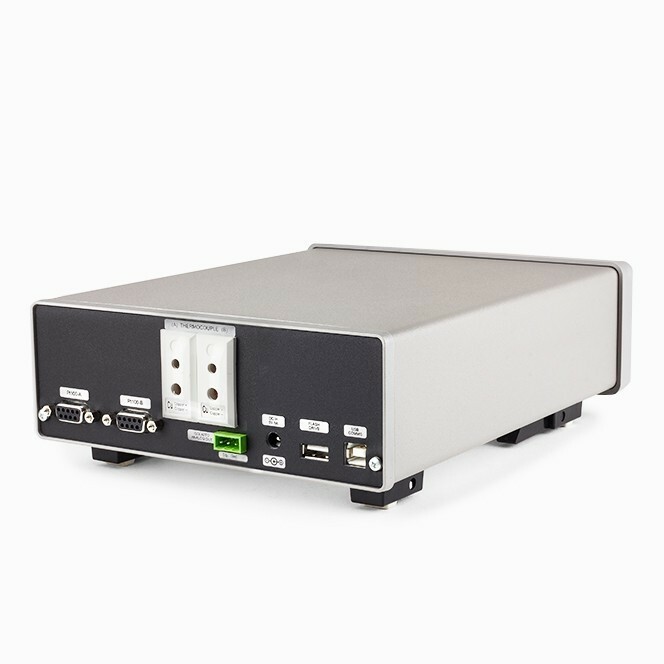 There are four input ports, two for thermocouples and two for 3 or 4 wire Pt100 sensors; the instrument automatically recognises 3 or 4 wire configurations. 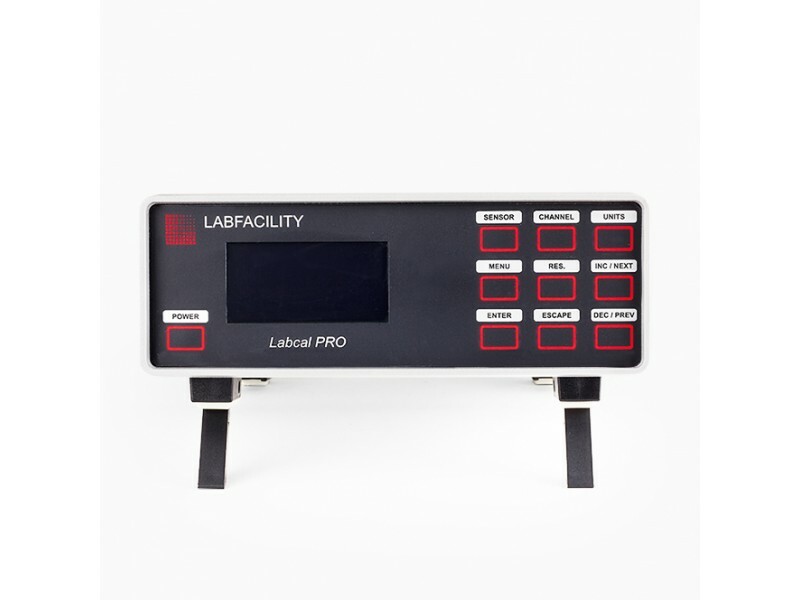 The Labcal PRO can accept two Pt100 sensors and/or two thermocouples of similar or different types (J,K,N,T,E,R,S and B). The measured temperature can be displayed directly from one of the inputs or differentially between similar or different inputs. Differential temperature and the two individual channel temperatures are displayed simultaneously. 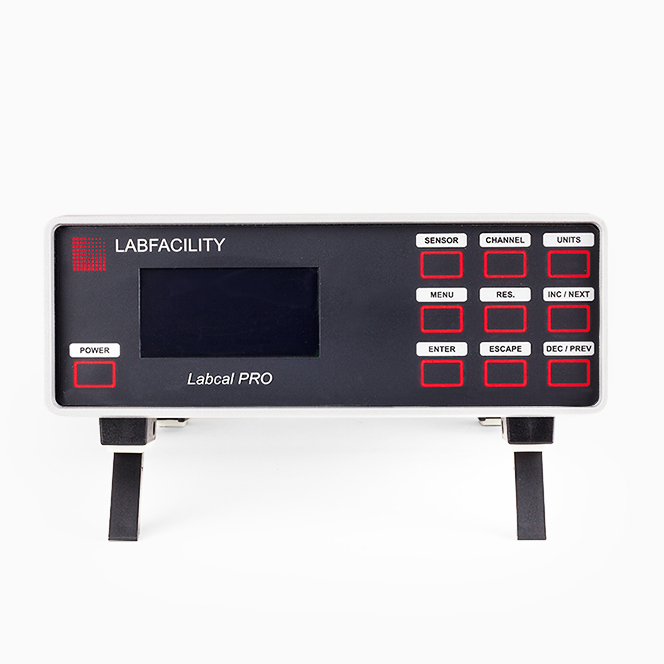 Individual calibrated sensors can have up to 10 appropriate calibration values programmed into the Labcal PRO. 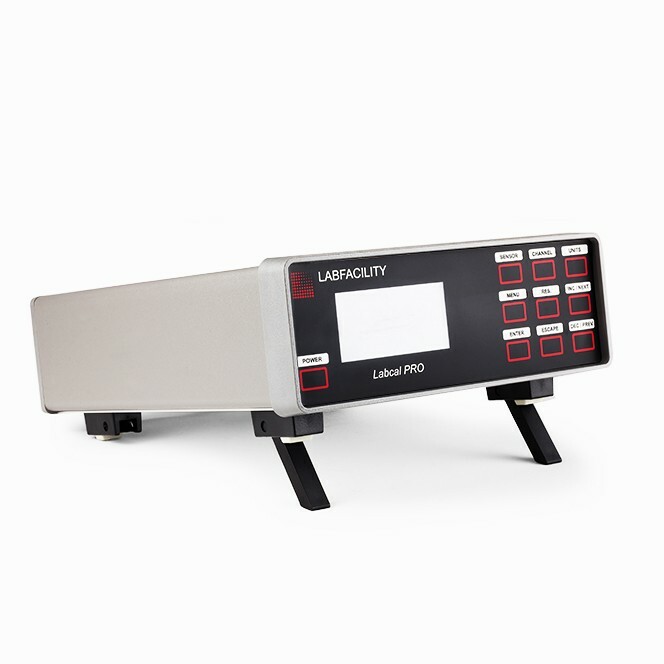 The instrument then digitally self-calibrates to the associated probe over the range embraced in the calibrated values used; the temperature readout is 'corrected' accordingly. Warm-up Negligible under normal ambient conditions. Allow 5-10 minutes for full stability unless stored at low temperature, then 30 minutes minimum.